OOH Such a handsome fellow! So will Cary be one of his girlfriends? Hubba Hubba! Who is this new addition? Wow, imagine the RAMifications of his work! Hide little Cary haha! I had a "bucket calf" that wasn't even supposed to live, and she was accidentally bred too soon--before she was even grown up. All the neighbors told my ex-husband to abort the calf and I begged him not to, to let her have it. She had it by herself, overnight...and has had many beautiful babies since. Anyway...I think I got very lucky with her turning out so healthy! Hope the ram works out! I like the little tuft of hair on his head. Lovely guy you have there! 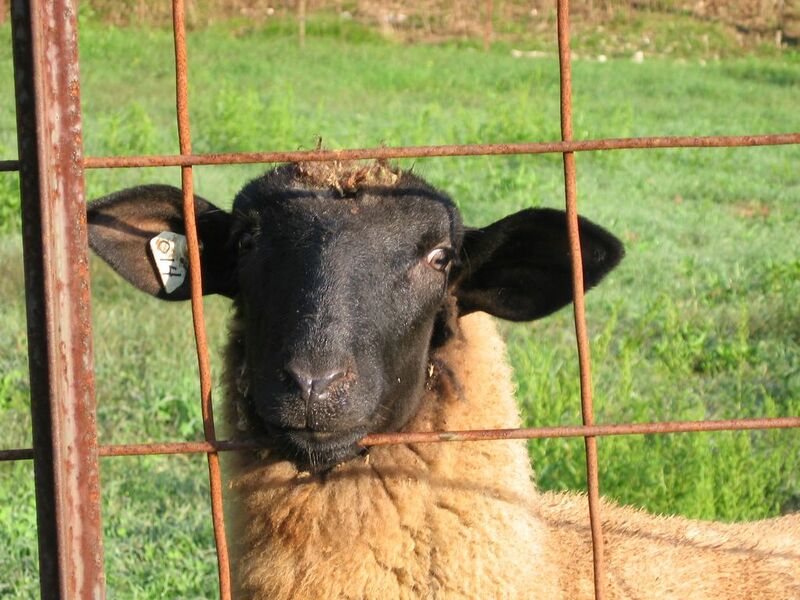 We always bred white faced rams to our black faced ewes as we were afraid of the spider lamb syndrome. He is a very handsome guy. Does he get a name? Hahahahahaaaaaa! "Good-looking wool!" Hilarious! Thanks, Farmgirl; I needed the laugh! He IS a gorgeous fellow. Can't wait to hear what you've named him, and to see what craziness he stirs up at his new home. Yeah--I meant to ask what is name is also! We are curious! Oh man, sometimes it seems like you get to have all the fun! (He is so cute!) Thanks for sharing. Okay, I have been absent for the last two weeks and have finally caught up. What a handsome fellow. I will need his fleece next spring when you shear! My goodness that's a very nice color and that will make a fabulous sweater! He's handsome, all right, and he knows it, too, doesn't he? Look at him with those come hither eyes. He's luring the wool toward him. Does he have an object of affection picked out yet? I bet they're all putting on their Sunday best just for him. I want to know what his Special Snacks are! My name is Jeff. It's a great name, especially for a handsome ram like myself. Can a ram be "handsome?" I guess so! He sure stands proud! Skye and Sandy say, "Hats off to the newcomer on the farm!" 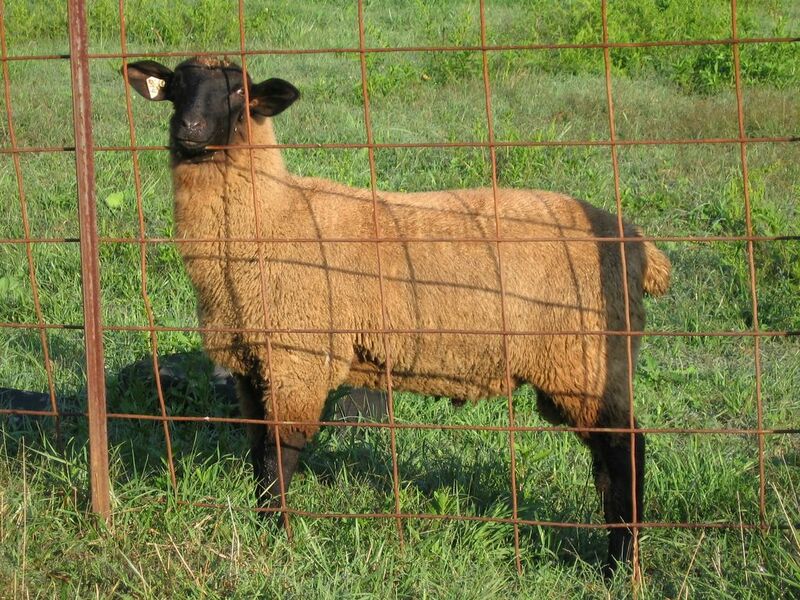 How often do you change your breeding ram so as to keep the genes in the flock fresh? He's gorgeous! And such a wonderful color! I suppose "Mother keep your daughters at home" is not the appropriate phrase in this case? He is a cutie and he knows!